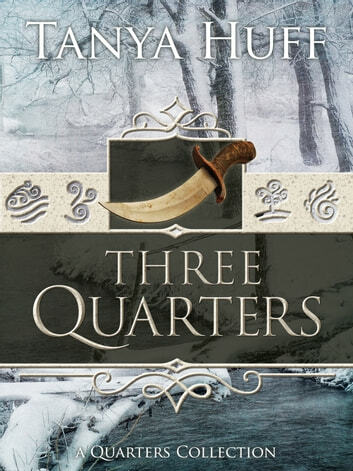 The Seven Armies’ deadliest blades are at their best in Three Quarters, a collection of three exciting short stories set in Tanya Huff’s Quarters universe. In “Death Rites” sibling assassins Bannon and Vree must eliminate a dangerous traitor who’s already thwarted several other professionals. In “Exactly,” Vree and Bannon slip surveillance shifts in between body rubs and drinks when they take a holiday, assassin-style. And in the novelette, “Quartered,” on Kovar’s orders, the young bard Evicka risks her life to spy on Vree and Gyhard in Bicaz. Featuring an all-new foreword and new story introductions from the author, Three Quarters is sure to delight fans of The Quarters Series with Tanya Huff’s pitch-perfect harmony of adventure, intrigue, and wit.